If ever a reminder were needed, this collection contains the inescapable truth that the thing killing most New Zealanders is New Zealand. Such a Stupid Way To Die is a 1971 film that warns about the terrifying New Zealand alpine bush and unforgiving tussock country. Hypothermia is explained by Ray Henwood — father of Dai Henwood — and therefore seems like a mockumentary p*ss-take of a 1971 educational film, rather that just being one. The film centres around a dramatisation of a real life tragedy, with some doomed friends heading out on a tramp. It's brilliantly spooky, and grim. Concluding with a dour re-enactment at a coroner's court. Back in the 1950s things were less gothic. Pedestrians or Jaywalkers? (1952) starts out like a skit from Benny Hill,as the pedestrian — we only see him from the knee down — walks along the footpath but changes direction when the pins of a presumably hot young lady come into frame. Naturally he stalks her at what would now be an actionable proximity. And did I mention he was naked? What follows is a comedy version of a public warning. Pedestrians are being killed by motorcars because they jaywalk, but why not have some fun along the way? The modern version is often seen on our current affairs shows: today it's people texting as they drive or making suicidal dashes in front of Wellington buses. Although the story is basically the same, this 50 year vintage is the superior beast, and proof — as if it were needed — that nothing is new. Between the 50s and the 70s there was of course the 60s. But this 1966 film isn't a warning about the perils of free love and LSD. The sexual revolution, though in full swing in the rest of the free world, was still many years away from our shores. So, promising as it is, the title Too Late to be Sorry, is about a different kind of penetration, that of a metal slug into the meat of a hapless New Zealander. A man wanders through the bush, pulls out his rifle and bang. "Hey watch what you're bloody doing", yells the man he mistook for a deer, "... Are you bloody blind or something?" At which point a Forest Service officer pops up sporting a spanking new Swanndri. "One hunter is killed or injured each week as a result of unsafe firearms handling." Jeepers that's a lot. We've obviously got better at this, thanks to films like this no doubt. At only six minutes it's a brilliant crash course about safely taking pot shots in the dangerous New Zealand alpine bush or unforgiving tussock country. Today it's frowned upon to involve chimps in the kind of antics that were once seen as merely delightful. It's been decades since PG Tips used primates to peddle its tea. But back in 1952, the words 'animal' and 'welfare' had yet to meet. Monkey Tale is a remarkable thing. It's hard to imagine a stranger or more wonderful piece of film sitting in any archive anywhere. At its heart it's an educational film about bicycle safety, warning as it does about the perils of 'double banking' and crossing the road 'willy-nilly'. But the beauty of this film is that it has no heart, it's clearly a chance to wheel out the chimps and have a good laugh. It's old school. The star is Charlie (last name Chimp), who may now be my favourite NZ animal actor, after the Bugger Dog. It simply has to be seen. Elsewhere the collection is a reminder that PSAs (Public Service Announcements), as they're oft known, have always attracted the cream of film and advertising talent. Today we have the artful and award-winning Ghost Chips campaign. Back in 1963 producer John O'Shea and young director Tony Williams gave us Keep Them Waiting. The 'Them' being the men and woman of the emergency services, seen here playing cards, drinking tea, and sitting by the bakelite phone. Meanwhile some New Zealanders are out and about, driving without seatbelts, drinking like fish, and walking on the highway. It's only a matter of time before the inevitable, but this is 1963 so time is a concept to be played with. Cue Last Year at Miramar: backward footage of a Vauxhall Velox, ominous ticking clocks, and jazz from the Nicky Smith Trio and the Maurice Paige Quartet. Even more in keeping with the living dead of Ghost Chips is The Elysian Bus (1951), which plays out like an episode of the Ray Bradbury Theatre or perhaps a short story by JG Ballard. Again the cinematography is of the highest calibre — this could be Hitchcock (indeed the actors sound distinctly English). The strangest thing is how engaging it all is considering what it is, a 10-minute film designed to make us to take more care on wet roads. A God voice booms in (naturally he's Aquarius, in keeping with the Greek theme) chiding the passengers waiting for that bus to the afterlife. "When it's raining you can't just go blundering along not looking where you're going, losing you temper and driving too fast." No speaking in enigmatic riddles for this deity, just a good old fashioned growling. Throughout the collection you're reminded that though much has stayed the same, we have got a lot better at not letting New Zealand kill us as easily as it once did. That, along with the inescapable fact that a chimp riding a bicycle, is still bloody hard to top. If the number of safety films produced is an indicator, the most dangerous place to be is on our roads, a major concern reflected in this collection of films from 1951 to 1971. This was a time when the production of safety films was largely initiated and funded by government departments and official committees, according to their particular spheres of interest. In fostering New Zealand film production, the Transport Department played an important role that has largely been overlooked. Since 1947, its constant need for new films to promote various aspects of road safety, tailored to local needs, provided steady work for both government and independent film makers. The twin concerns of the department were road safety education for children, and adult education in safe conduct on the roads. Film was seen as an important tool in achieving this. Getting the films to their target audiences was easy enough for the children's films, since 16mm copies could be shown in schools, but reaching adult audiences presented a greater challenge. Although films were the country's most popular form of entertainment, and "going to the pictures" was a weekly habit, audiences wanted entertainment and exhibitors were reluctant to screen dry educational films. White For Safety (1952) had the advantage of brevity, but to get the safety message across effectively on the screen, filmmakers had to be innovative, using drama, as in The Elysian Bus, (1951) or humour, as in Pedestrians or Jaywalkers? (1952). Kathleen O'Brien's Monkey Tale (1952) also used humour, along with the novelty of employing trained chimps as actors, to promote safe cycling. This film was a popular success for the National Film Unit, being in demand for many years and achieving commercial release. Also released commercially was Michael Forlong's How to Drown (1951), in which humour is used to perversely promote water safety. From about 1955 Pacific Films made all the local films the Transport Department required, producing one or two short films each year to support various traffic safety campaigns. As a key part of the Department's strategy for adult education in road safety, they had to be sufficiently entertaining to be accepted for distribution through the main theatre circuits. Keep Them Waiting (1963), designed to support safe driving over Labour Weekend, is a late example, made at a time when theatre admissions were in serious decline due to the advent of television. Television would itself become a significant medium for promoting the road safety message. Some safety films were produced with targeted audiences which were smaller and more specific. Films made for the National Mountain Safety Council promoting safety in the mountains, represented here by Such a Stupid Way to Die (1971), highlighting the dangers of exposure, were aimed at tramping clubs, scouts, school students, and other groups using the great outdoors. The Forest Service film Too Late to be Sorry (1966) promoting safety with firearms, was designed to be screened to an even smaller target group: recreational hunters and gun clubs. Copies on 16mm were made available through the National Film Library. 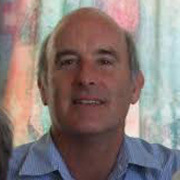 Clive Sowry is a freelance archivist and researcher. He was film archivist at the New Zealand National Film Unit and Archives New Zealand. 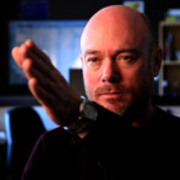 He has been actively documenting and writing about NZ film history for over 35 years, and has particular interests in early film and the National Film Unit and its forerunners.